Steven Chaney was added to the National List of Exonerations after the Texas Court of Criminal Appeals declared that he was “actually innocent” of two murders. Chaney served 31 years in prison based largely on discredited bitemark evidence. Chaney’s conviction was initially affirmed by an appellate court that said no more than this about the bitemark evidence: “Medical testimony strongly indicated that appellant inflicted the bitemarks on the victim’s forearm.” The decision reflects the unfortunate willingness of judges to accept forensic evidence offered by prosecutors at face value. Years later, Chaney’s defense team relied on expert testimony to free him from his unjust conviction and sentence. The Texas Court of Criminal Appeals agreed that Chaney is innocent and vacated his conviction, giving long-delayed justice to Chaney. John and Sally Sweek were stabbed to death in 1987. Oddly, the couple who observed the Sweeks’ bodies through their apartment window called a number of people to report their discovery but waited nearly two hours to call the police. Crime scene investigators found shoeprints, boot prints, and multiple bloody fingerprints. They also found Chaney’s fingerprint on a wall near the kitchen, but there was no blood on that print. Investigators also found an apparent bitemark on John’s arm. Investigators quickly learned that the Sweeks were drug dealers. Juan Gonzalez, the Sweeks’ supplier, was identified as a person of interest. The police ruled out Gonzalez without investigating his alleged connection with the “Mexican Mafia” and without determining whether his cowboy boots could have caused the boot prints at the crime scene. The police were provided with a drug ledger that allegedly showed the names of people who owed money to the Sweeks. Chaney’s name was in that ledger, along with several other people, including members of the Sweeks’ family. A caller who wanted to remain anonymous told the police that Chaney purchased cocaine from the Sweeks several times a week. The caller, later identified as Curtis Hilton, suggested that Chaney might have been responsible for the murder since he suddenly had money after the Sweeks died. Police investigators eventually learned that Hilton owed Chaney money, but that motivation to frame Chaney apparently played no role in their assessment of the information he provided. They developed no evidence to corroborate the claim that Chaney had money after the murder. After receiving that call, the police became laser-focused on proving Chaney’s guilt rather than following all the evidence and investigating other suspects. Police officers who decide to prove that their theory is correct rather than keeping an open mind are often responsible for wrongful convictions. Hilton gave conflicting testimony before and during Chaney’s first trial. The court ultimately declared a mistrial because the prosecution had failed to disclose Hilton’s prior statements to the defense. The court concluded that the police had withheld those statements from the prosecution, a finding that should make no difference since the prosecution has a duty to obtain all exculpatory evidence in the possession of police officers. The prosecution immediately recharged Chaney, although with only one of the two murders. Hilton again testified, and again told a different story about his interactions with Chaney. Testimony suggested that some of the shoeprints at the crime scene “might have” been left by Chaney because the prints were made by tennis shoes and Chaney, like most people, owned tennis shoes. A forensic serologist who tested Chaney’s shoes found an “unknown substance” that “might have been” blood. The serologist admitted that the test she used can return false positives and that, if the substance was blood, she could not say that it was human blood. The prosecution offered evidence of Chaney’s partial thumbprint on a wall, which was about three feet above the floor. The prosecutor speculated that Chaney left the print when he bent over the dead bodies. The defense noted that Chaney had been in the apartment several times and may have left the print while bending over to pet the Sweeks’ dog. The defense also argued that the prosecution failed to identify multiple bloody fingerprints that were likely left by the killer. The investigating detective testified that he interviewed Chaney, that Chaney asked him at the beginning of the interview whether the detective wanted to talk about the murder, and that Chaney said without being prompted that he had an alibi. Since the murder was highly publicized and Chaney had purchased cocaine from the Sweeks on several occasions, it is not surprising that Chaney would assume that the police wanted to ask him about the murder. Chaney did, in fact, call a number of witnesses who accounted for his whereabouts throughout the day of the murder. The prosecution bolstered its remarkably weak case with evidence of the bitemark on the victim’s arm. A forensic odontologist, Dr. James Hales, testified that the bite mark was a “perfect match” with Chaney’s teeth, that there were no inconsistencies, and that the odds of any other person leaving the bitemark were one in a million. He also testified that the bitemark was made at the time of the murder. All of those opinions were utter nonsense, but the evidence was damning because it placed Chaney at the scene when the victims were murdered. A second forensic odontologist, Dr. Homer Campbell, testified that the bitemark actually consisted of four separate bites, and that Chaney was the one who bit the victim. In its closing arguments, the prosecution emphasized that the testimony of Drs. Hales and Campbell provided the strongest evidence of Chaney’s guilt. Decades after his conviction was affirmed on appeal, Chaney sought habeas corpus, a procedure that can be used to challenge the validity of convictions that have been finalized. His petition was based in part on a 2013 Texas law that allows convicted defendants to challenge convictions based on an intervening change in scientific understanding of the evidence that the prosecution relied upon in support of a conviction. 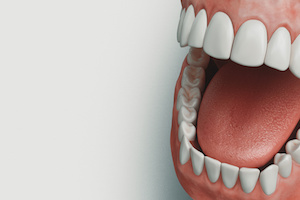 Forensic odontologists no longer believe it is acceptable to conclude that a bite “matches” a suspect’s teeth when the number of people who might have caused the bite is unknown. Forensic odontologists no longer use the word “biter” to describe a suspect. The expert opinions that Chaney made the bitemarks would not be offered by a well-trained forensic odontologist today. The habeas court based those findings on unrefuted expert testimony and on guidelines published by the American Board of Forensic Odontology. The Board became more professional in its approach to science after bitemark evidence was sharply criticized by the President’s Council of Advisors on Science and Technology and by a National Academy of Sciences report. Apart from the difficulty of making a precise measurement of bitemarks, given that skin can expand or contract in the area of a bite, unscrupulous prosecution “experts” sometimes stretched or squeezed skin until the bite took a form that they could identify as a match. Even ethical experts at the time of Chaney’s conviction failed to acknowledge that their methods were unsupported by peer-reviewed research. Bitemark evidence is so unreliable that the Texas Forensic Science Commission voted in 2013 to recommend that its use in Texas criminal prosecutions be suspended. The opinion of the Texas Court of Criminal Appeals in Chaney’s case summarizes the current state of bitemark science and explains how studies have demonstrated its unreliability. Many forensic experts who testified in the past subsequently revised their opinions about the reliability of bitemark comparisons they made. To his credit, Dr. Hales acknowledged that his opinions were probably wrong and that the bitemark could have occurred two or three days before the victim’s death. And to its credit, the State conceded that its bitemark evidence proved nothing. During its closing argument in Chaney’s trial, the prosecutor admitted that he would not have pursued an indictment against Chaney in the absence of bitemark evidence. The Court of Criminal Appeals had no difficulty deciding that Chaney would not have been found guilty in the absence of the unfounded bitemark testimony. The court also agreed that Hales’ testimony that only “one in a million” individuals could have produced the bitemark on the victim’s arm was false and misleading. Hales admitted that he simply made up that testimony. Since the Constitution prohibits using a lie to convict a defendant, that admission also required Chaney’s conviction to be set aside. The Court of Criminal Appeals’ decision explores other flaws in Chaney’s conviction, including a pattern on the part of his prosecutor of concealing evidence that pointed to his innocence. In addition, DNA testing excluded Chaney as the source of the skin found under the female victim’s fingernails and of the DNA in all other testable evidence found at the crime scene. The State’s recent investigation identified two suspects belonging to a drug cartel who probably committed the murder. Given all of the evidence, the Court of Criminal Appeals determined that Chaney is actually innocent of the murder. The court ordered his release from prison. Since he has been found innocent, he cannot be retried.